Ruth Elliott’s ART assemblies promote positive attitudes, better behavior & academic achievement as well as spatial awareness, which has been shown to raise math scores. The Arts can increase math scores by up to 15%! Ruth wrote the first art textbook to reference K-8 Math standards and shares it with her Art Presentations. What will happen during the assemblies? 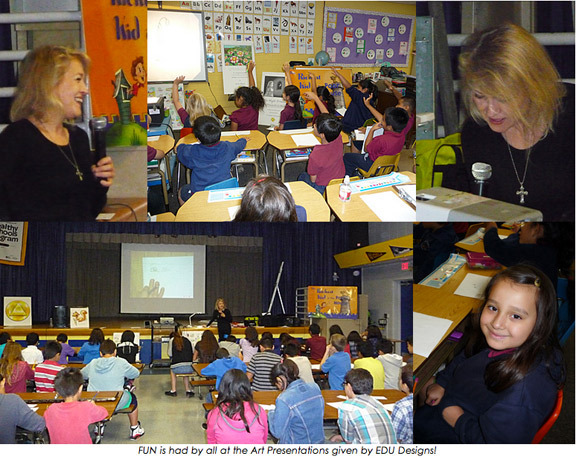 During the presentations students enjoy drawing tips from Emmy Award winning author and artist Ruth Elliott! 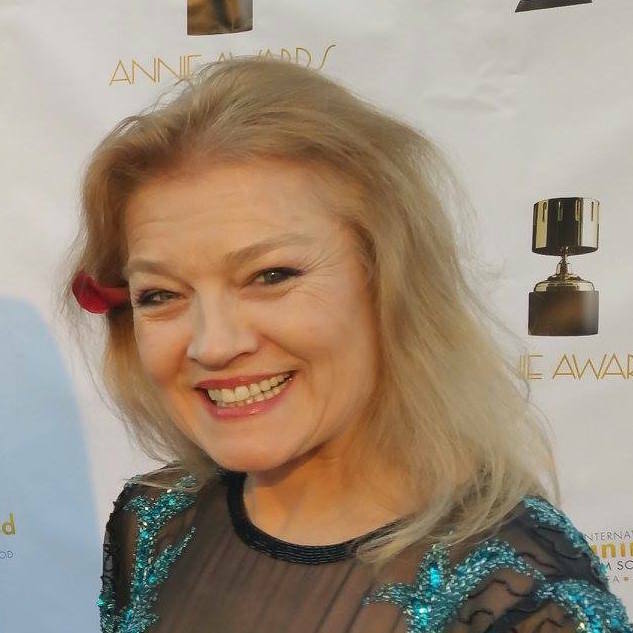 Her years of experience in the animation industry have given her a desire to share her love of art and stories with children, who enjoy participating and learning valuable character lessons. Drawing instruction may include all or part of the following: Understanding structure, perspective, expressing emotions, character development, story progression and basic animation. We always provide paper for the children to draw on! We can do from 1-4 assemblies per day, to reach all students in a school. Here’s a sample schedule you can adjust to your needs. What does the school need to do to get ready? We provide paper for the children to draw on! Our assembly presentation is valued at $1,200 per day, however it is available for any donation of any size when you use our “Share With Another School” program. This saves us time calling schools, and saves you, too! Our “Share with Another School” Program, gives the same experience to motivate and inspire your students to learn! 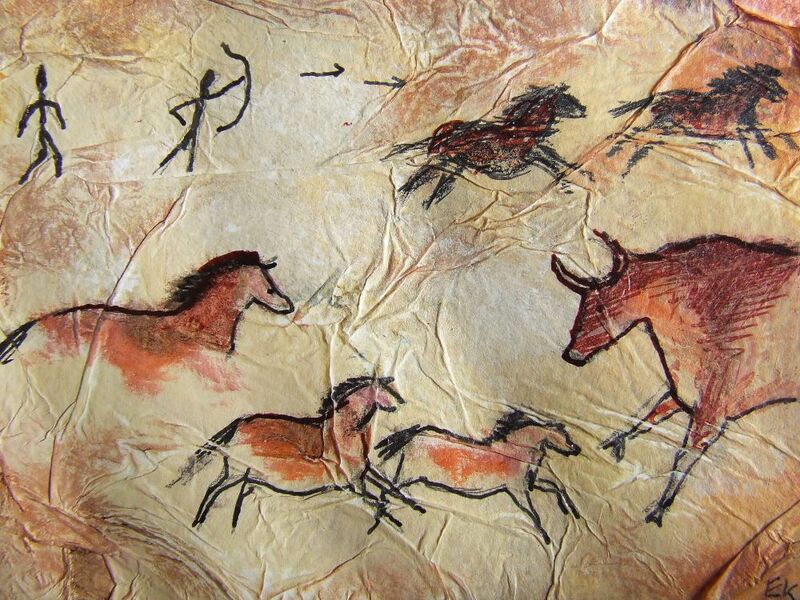 Find out how to bring our Art Presentation to your school here! Contact us to schedule your Art Presentation today! I founded EDU DESIGNS after my 7 kids grew up and I realized there were more children out there who needed positive media and educational resources to lift them up. Your support allows us to nurture the little ones with high ideals of good character, which will help the REST of us when THEY become the adults in charge! Your donation helps us to provide for schools in need. CHECK OUT OUR FREE RESOURCES for KIDS! What are you doing, Wednesday, March 20, 2019? 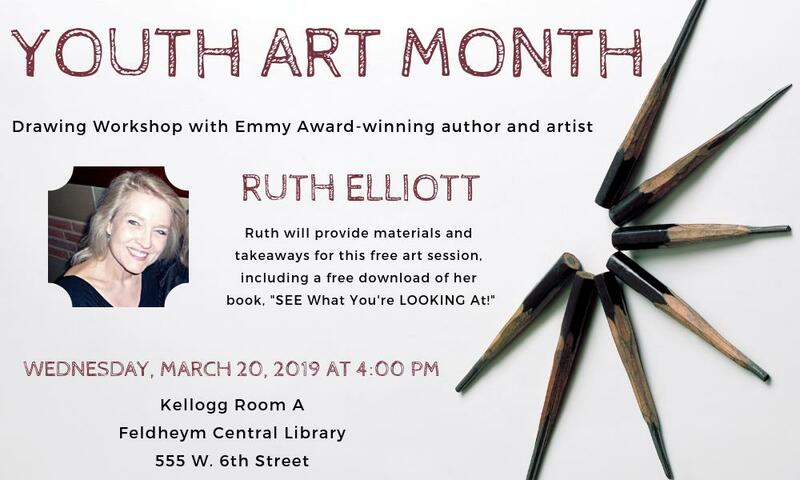 If you’re free and near San Bernardino, CA, come on down to Ruth’s Art Workshop at the Library – learn some drawing tips – AND get a FREE FLIP BOOK, too! Which FLIP BOOK will YOU Choose? Check them out at this link! 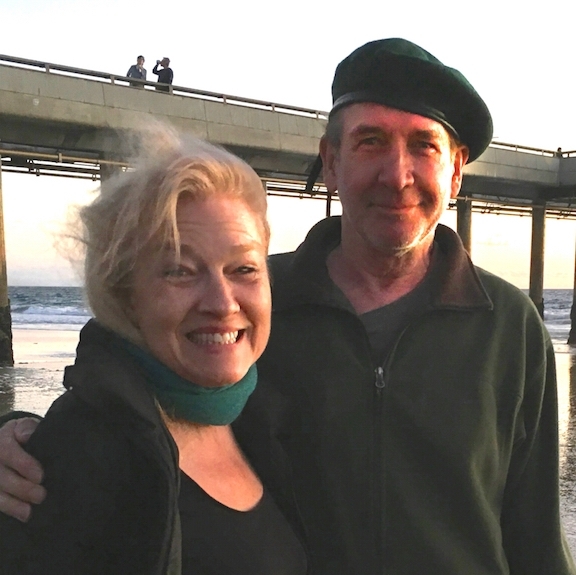 SETTLING ARGUMENTS – FOR GOOD! When children are taught to calmly express themselves in a ‘safe’ environment, and to listen patiently as they give others the same courtesy, it will go a long way to growing them into more thoughtful adults who will be able to work out their problems peacefully! This simple technique called Resolve or Report* helps them learn how! The Strategy: Resolve or Report is a method that teaches kids how to work out their differences. By giving them choices, they are empowered and not left feeling helpless. 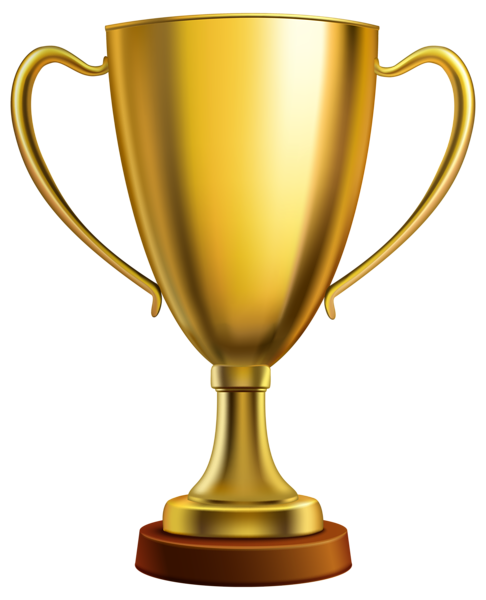 The PROCESS: When children have an argument or fight, take them aside. Tell them that this is not acceptable behavior and that we must learn to work our our problems peacefully. Give them a CHOICE: Do they want to Resolve it between them peacefully? Or do they need to Report it to an adult to help referee? If they choose the RESOLVE option, they will agree to try to resolve the matter between one another. If they cannot do it on their own they can choose to REPORT it to an adult to help facilitate. They will each get a chance to tell their side of the story. Choose who talks first by tossing a coin (heads or tails) or throwing dice (the highest number goes first), or something similar. 2- TALK CALMLY when it’s your turn, and LISTEN POLITELY when it’s the other person’s turn to talk. This technique helps them to see each other’s perspective, making it easier to solve the disagreement. If they cannot RESOLVE the issue between them by themselves, they can choose to REPORT their side of the story to an adult who can assist in helping them see the other person’s point of view. Resolve or Report is a way to give kids an understanding that they have options to work things out. Either by resolving issues between them -or- asking that another sit with them while they each take a turn reporting their story. 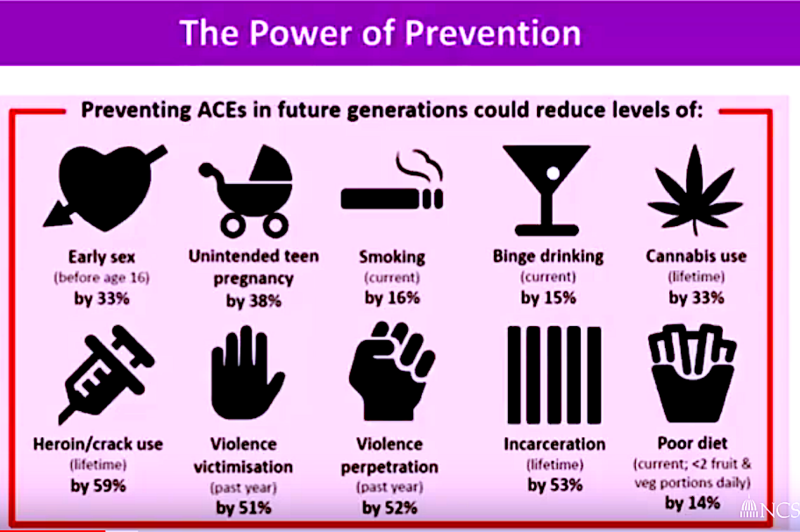 Giving children a choice in resolving their own problems can immediately de-escalate behavior and decrease incidents in the future. 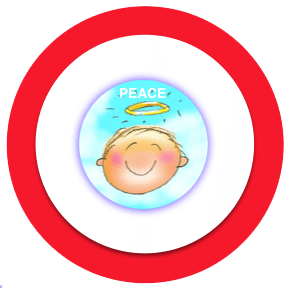 STAY ON TARGET – For GOOD! Everyone wants to think they are right. Right? Or do we just want to be the only one who is right? 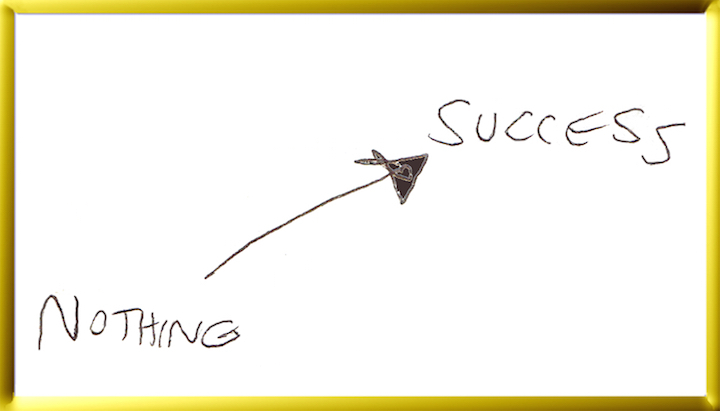 The only way to really be ‘on target’ for good is to AIM for what is really right. For everyone. And that means PEACE between us. The only problem is. . .
We may be aiming for peace, but the other person may not want peace. They may want to fight. Fighting and arguing are like a fire. Imagine that our Self is like the house we live in. What do people DO to protect a house from fire? One way is to create a ‘fire break’ – an area around it, cleared of all debris that would ignite. 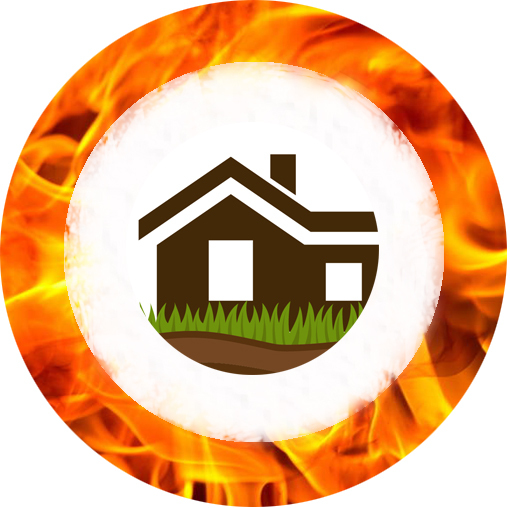 If a fire should start outside that area, it will stop when it gets to the ‘fire break’, and will not get close enough to burn the house down. 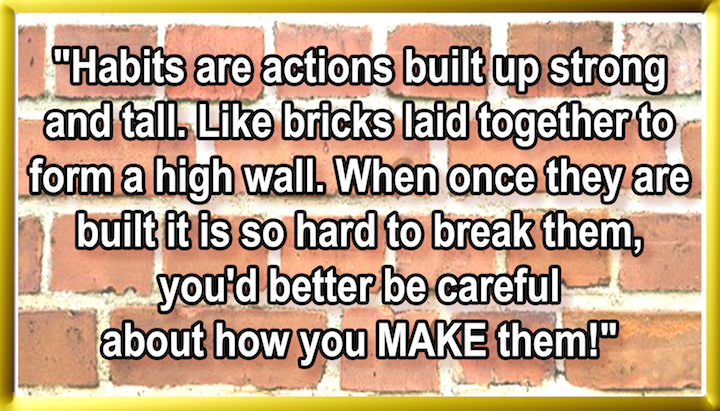 In the same way, the technique called “Resolve or Report” creates a safe area around both parties, in which they can express themselves without fear of getting ‘burned’. One Christmas night many years ago, I was driving our old station wagon in the pouring rain. Among my seven kids in the car, 10 yr old daughter Lisa was very excited. For years she had begged us for an umbrella of her very own. “I want a big sturdy one, Mom, like you and Dad have”, and that day, in the rain, we finally got her the umbrella she had always wanted! We passed a homeless man on the other side of the street – no hat, no raincoat, soaking wet. I couldn’t find it in my heart to keep going. Then I saw the fellow. He was a young man, probably in his early twenties, but looking more like a 50 year old, stooped over, rain dripping from head to toe. Months later, I was driving again down the same street, right by the church I had told the young man about. I spotted him, raking leaves and talking to the preacher outside. He was dressed in better clothes, and looked healthier. ‘Wow! He really did it!’, I thought. Later that year I found myself Christmas shopping – again in the pouring rain. Looking for a parking spot amid the hustle and bustle of people, I saw one of the employees. He looked vaguely familiar. As I searched my memory, I suddenly realized it was the same young man I had seen those few Decembers ago! As he helped a customer into their car in the rain, he had a big smile on his face while holding a large, sturdy umbrella over them. Wow. A sudden rush of astonishment came over me. Could an umbrella and a heart of compassion from a 10 year old have made a difference in his life? What if we hadn’t stopped that day in the rain? I’m so thankful I didn’t turn away. It sure made me happy to be a part of the story! We find character in ALL kinds of places, especially in KIDS! The student on the right wrote, “I LOVE MY BIRD LIFE”! Students are expressing character and loving kindness through the many classes given by EDU DESIGNS volunteers. 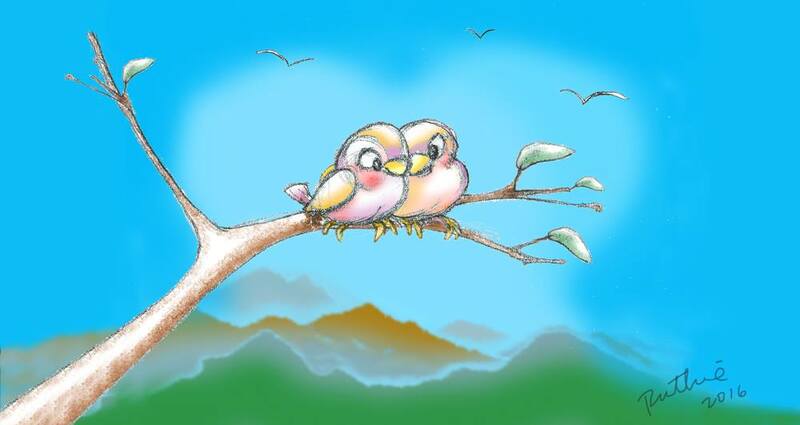 They are learning to respect life while they are learning to sketch, analyze draw and animate birds. Ever since then, I determined to do something about it. If they couldn’t afford art in school, we would volunteer our time to help. And we began our non-profit to bring art back to the schools in 2007. Kids are SO grateful to get ART time in class! Teachers (and moms) have known all along that that ART is as VITAL to growing a child’s intelligence as other disciplines. It’s taken a long time, but finally the importance of the arts is being recognized by those who took it out long ago. 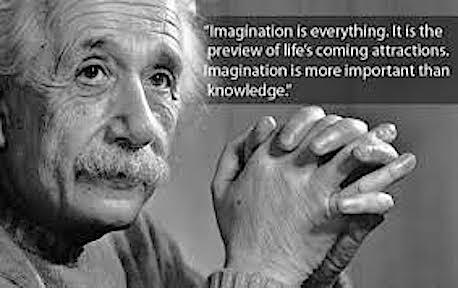 Now that schools are slowly beginning to implement the STEAM curriculum (which stands for Science, Technology, Engineering, Art and Math), the problem exists that teachers still don’t have the money to do it all, so we are helping as best we can. I’ve been doing my best, but there isn’t enough of me to go around! If you have a bit of artistic skill and a few hours a month to volunteer, I need you! If the spirit is moving you, and if you are chosen to be part of this great work, you will be personally mentored in my easy-to-learn, step-by-step method of teaching basic drawing skills to elementary students. It’s an opportunity that you will never regret. And so much fun, you will wonder why you didn’t start yesterday! PS – Isn’t it true that everything we have is because it was first given to us? Whether life, health, a sound mind, it is a gift. Along the line we get a chance to give back. Will you join us? That’s what Edu Designs is doing. Teachers are excited and happy along with the children who get to learn about birds! In Fontana, these kids are “for the birds” – in a very positive sense. 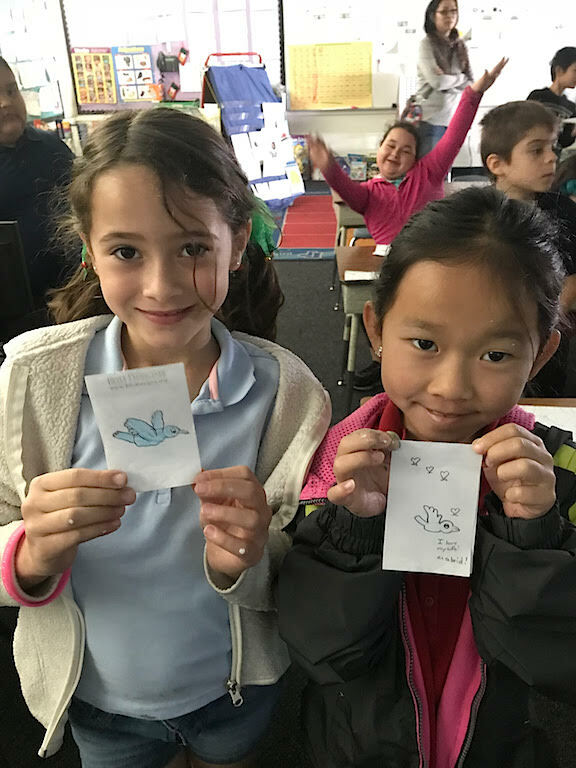 They are enjoying the combination of science and art enrichment thanks to Lisa Elliott who received a grant from the Community Foundation and the EEC, allowing students to learn about birds and draw them, too! 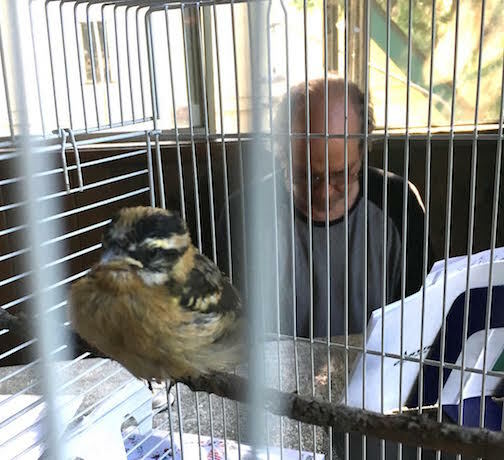 Lisa teaches them to become citizen scientists by observing and identifying different birds and their natural surroundings, the importance of birds to our ecosystem and how to use a binocular for bird watching. In the classes they learn how to record their findings and even how to draw their feathered friends. OUR BIRD ABBY ADDS HER HEART! 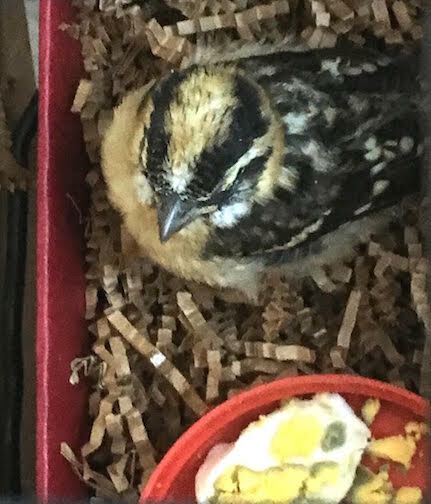 When students hear the story and see pictures of Abby, the bird we rescued, they are immediately touched, inspired to become more involved with bird life. Students are totally engaged as Emmy Award Winning Artist Ruth Elliott-Hilsdon teaches how to draw birds! The excitement builds as Emmy Award winning artist Ruth Elliott-Hilsdon shows them how to draw birds and create their own animated flip page! At the end of the classes the students are invited to borrow a special school backpack that contains all the equipment needed to birdwatch and record their findings. Included is a book to identify birds, binoculars, pencils, paper and information on how to record and share their data. 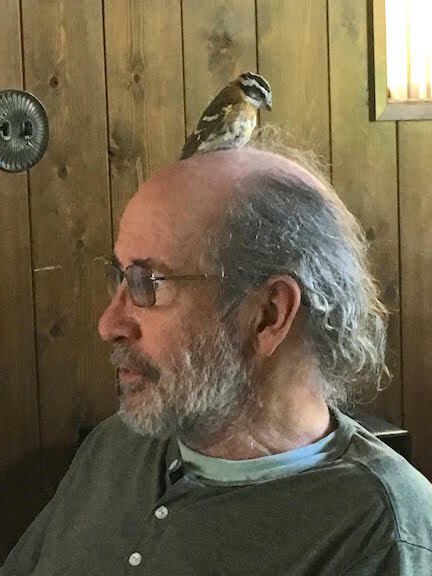 BEING ‘FOR THE BIRDS’ IS A GOOD THING! The best part of all is seeing the joy on the children’s faces as they actively engage with the world around them and learn to participate in caring for nature. This will truly impact them for the rest of their lives! 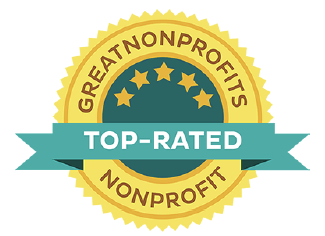 We recently won the Top Non Profit’s Seal for 2018! 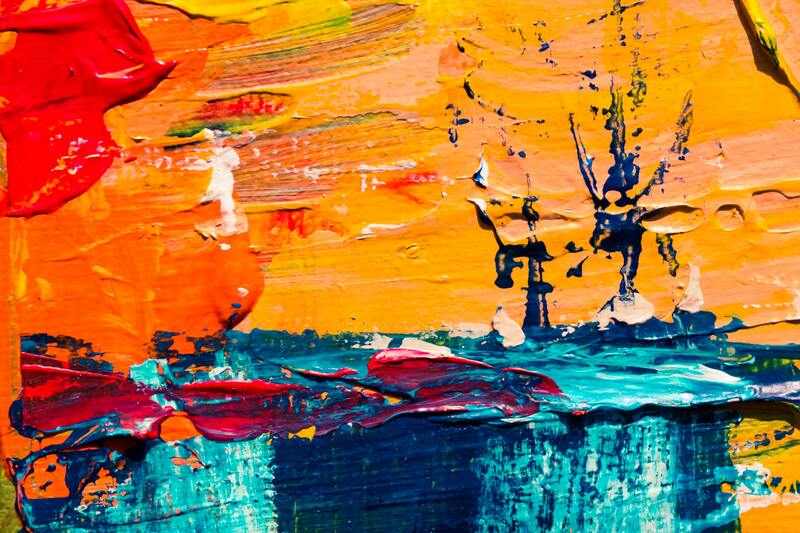 Are your kids getting enough art? Make sure to ask about our art assemblies. Ruth Elliott-Hilsdon with Lisa Elliott as she receives the grant award from The Community Foundation! Can dreams become reality? You betcha! Just ask Elizabeth Elliott. As the Lead Teacher for Elementary Science Enrichment, her dream was to inspire students to look closely at the nature all around them, grow into citizen scientists, and become engaged adults with an awareness of their environment. This became a reality when she decided to do something about it. 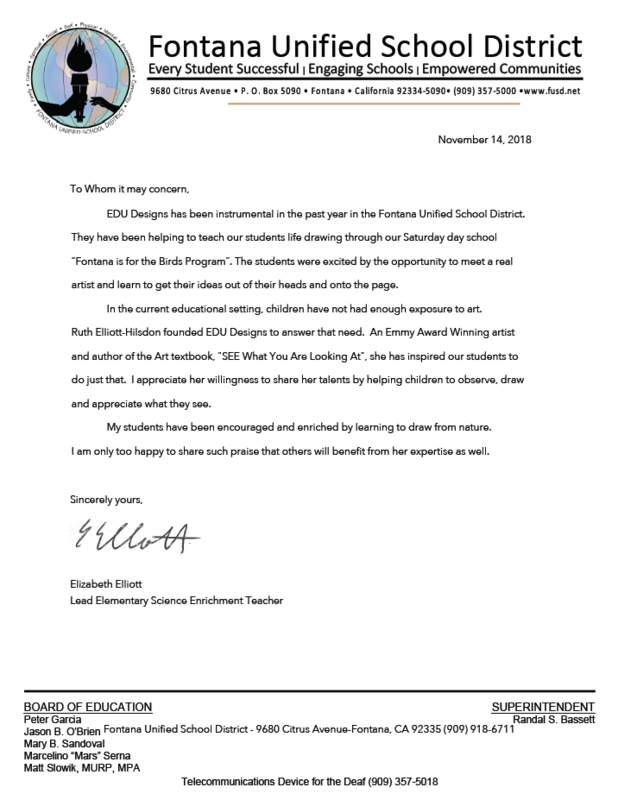 Ms. Elliott did some research and discovered that The Community Foundation and the EEC, were offering grants to increase community awareness and involvement with the environment. Just what was needed! 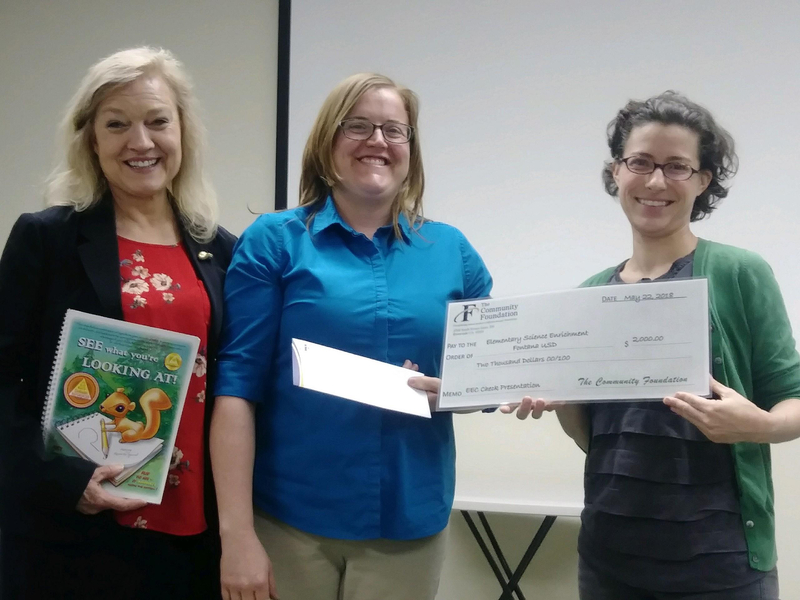 She applied for the small grant to finance her project which would empower five schools in her district to receive a program to teach students environmental awareness, drawing from life, and citizen science through bird watching. The Community Foundation gladly awarded it, knowing that students will become enriched through observing and drawing birds and nature, which would propel them to investigate involvement in their environment. IS IT FOR THE BIRDS? ABSOLUTELY! The project, called, “Fontana is for the Birds” will bring art and science together as Emmy Award winning artist Ruth Elliott-Hilsdon, founder of EDU DESIGNS shares her skills in Life drawing. This will add to the training students and teachers will receive in bird identification, data collection and interpretation. Each school will be given a birding backpack for their library containing: two pair of binoculars, a pencil pouch, colored pencils with sharpener, a birding book, a bird quick guide, and a bird observation journal. Students will be able to check out the backpack in order to bird-watch with their families and record their observations. The student’s observations can then be recorded into a program like eBird or Celebrate Urban Birds to facilitate a citizen science project! Over 2,000 students and their families will be given the opportunity to continue their observations outside of the school grounds by checking out the backpack. Plus, 90 Teachers in the 5 schools will be provided with extension lessons for their classrooms in how to integrate nature observation into their ELA, Math, Science and Art instruction. This program encourages young people to become more observant of their natural surroundings while becoming more involved in a positive way. By raising awareness of the need to interact consciously with the environment, we will all benefit in the long run. Have a dream? Add action, and it can become reality. It certainly does for Lisa Elliott! SEE THE UPDATE ON WHAT HAPPENED NEXT HERE! I thought sadly to myself, “Yeah. They only hurt your FEELINGS”. And somehow concluded that meant that feelings didn’t matter. Or they weren’t supposed to. So I began dismissing my feelings, ignoring them and certainly never admitted them to others. I know I’m not alone in this. How do these kinds of things happen? I was raised by a loving mom and dad who were not abusive, extremely self-controlled and highly intelligent people. Maybe too intelligent? At the age of 3, I distinctly remember crying with all of my family standing all around laughing at whatever it was that made me cry. I guess the reason wasn’t important to them, but it just left me feeling that they didn’t care how I felt. Another time I must have been whining about something. My dad flexed his biceps in an Arnold Schwarzenegger pose and said staunchly, “BE A MAN!”, as though somehow any kind of weakness was a sin — and certainly being a woman meant being less than a man. It took me years to rejoice in my femininity, to allow myself to be vulnerable, and to express my true feelings without thinking I had to be Spock-like. The good news is, I got over it! My own kids were a big part of the cure. Seeing their innocent expressions of feeling made me realize that mine were valuable too. And beautiful to behold. 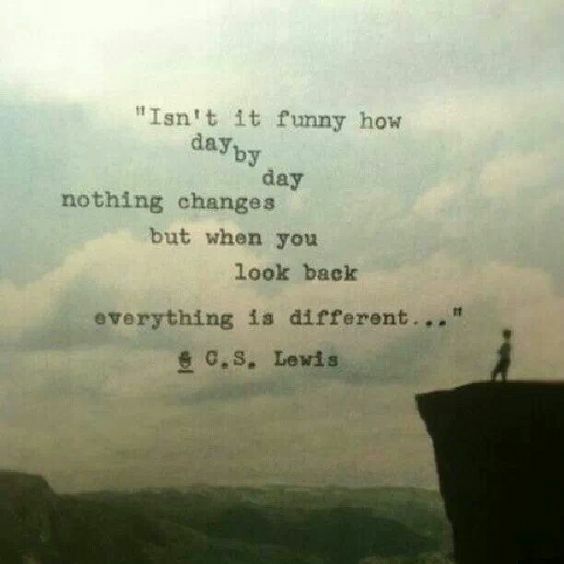 I’m never going back, either! 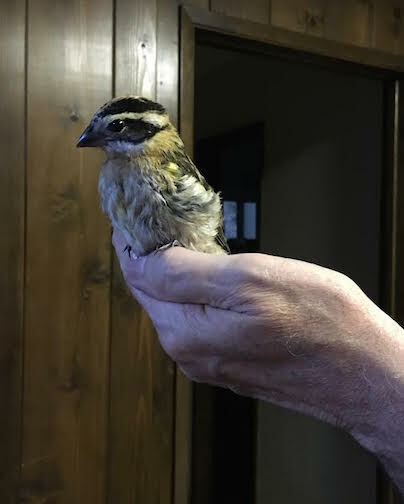 We rescued a fledgling baby bird a couple of weeks ago, and are new parents again at 69 years old! 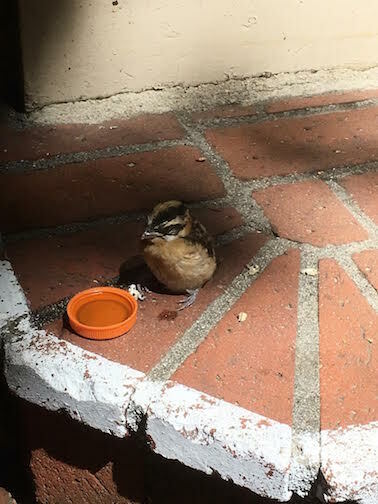 Here’s a photo of when we first saw her, sitting stunned, on a walkway. We put some water in front of her, but she wouldn’t drink it. She seemed so depressed we brought her home. And then were lucky to find a birdcage for $4 at a thrift store! 3- that we did the right thing to pick her up (she would have been ‘lunch’ for some wild animal if we hadn’t). We named our new ‘baby’, Abby. She eats like a bird (all day)! With all the good mothering and fathering, Abby is much happier… and getting bigger every day. Here Jas caught her flying into the kitchen. We have to make sure the stove isn’t on when she’s practicing her flying! 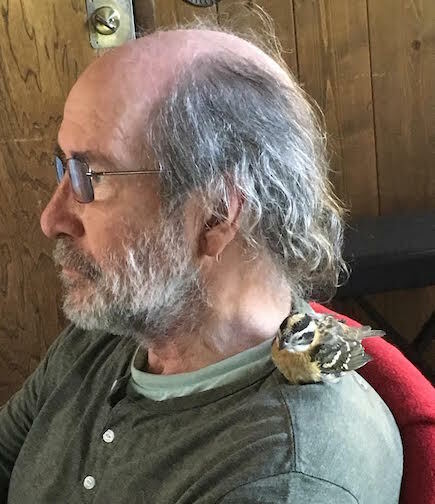 And then settled onto his shoulder for a bit! 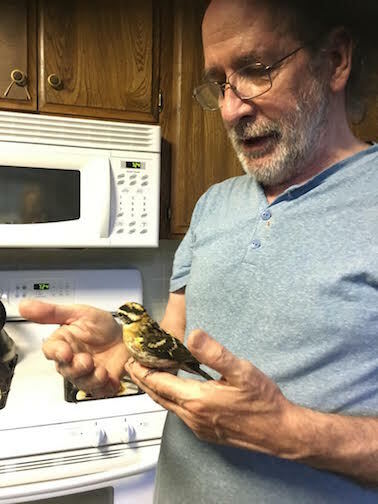 She’s beginning to peck at things, too – a good sign she will be able to feed herself soon! When we are sure she can eat on her own (and escape from our cat!) we will be able to release her back out into the wild! Happy Father’s Day Everyone – whatever your species or gender! 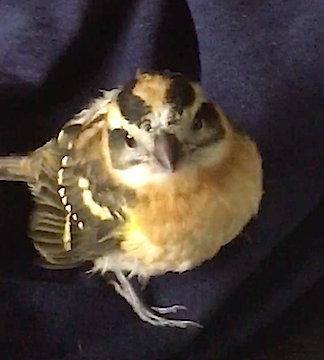 Abby the Black Headed Grosbeak! 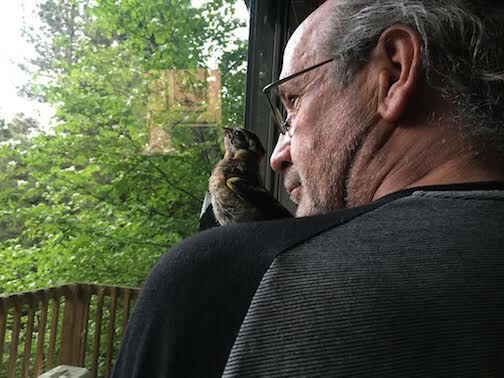 Last year we rescued 8 cats and found homes for them, with the help of a wonderful organization in Connecticut called Our Companions. As the Keynote speaker to a large group of students recently at a college and career event, various educational organizations offered their options for study in many fields, including Business and Industry, Medical, Veterinary schools, the Navy, and the Arts. 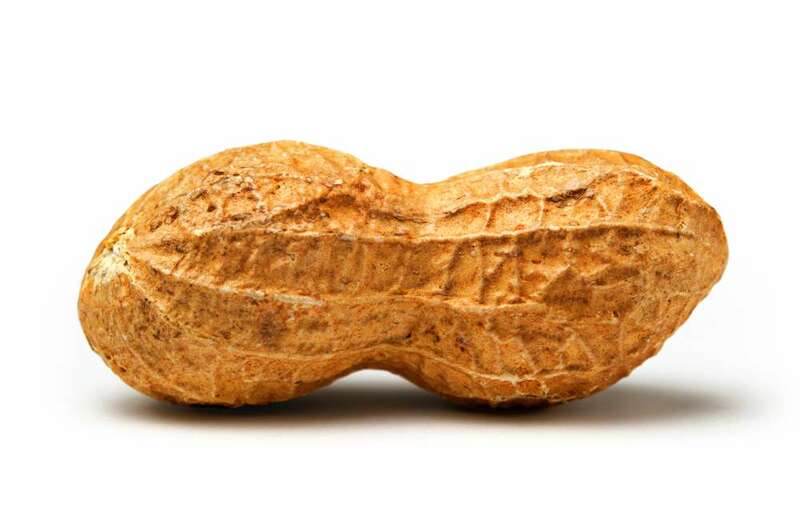 An Apple… A Peanut… and a BABY? They all contain seeds of the future. 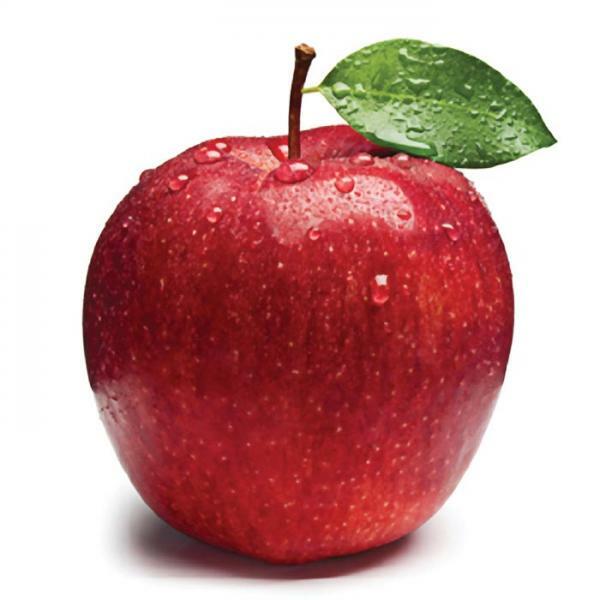 Most people see an apple and think of the what the fruit has to offer- not the seed, but Johnny Appleseed saw the possibilities of many apples hidden inside each seed. The greatest persons in history all needed their diapers changed as infants. No one starts out fully grown. We all need help from others. People have been trying to share their knowledge since time began. People have been trying to share their wisdom and knowledge since time began -through WORDS, BOOKS and ACTIONS. Why? To help others. They want to share what they know and hope someone will unwrap the gift they have to give to the world. It’s all out there for you to find, if you look for it. Communication is like throwing a ball back and forth.I throw some words at you, then you throw some back to me. Learn to listen attentively to ‘catch’ the ball before you throw yours back! Pay attention intently. Keep channels of communication open, by letting the ball go back and forth. Learn to think and analyze and communicate your thoughts accurately. And learn to love reading so you can absorb knowledge from other folks who have gone to the trouble of writing it down to share it with YOU! Have you got a little one? Learning to love READING starts with the first snuggly cuddle with a book while sitting in someone’s lap. I remember the warm fuzzies I got while my mom read to me as a child. 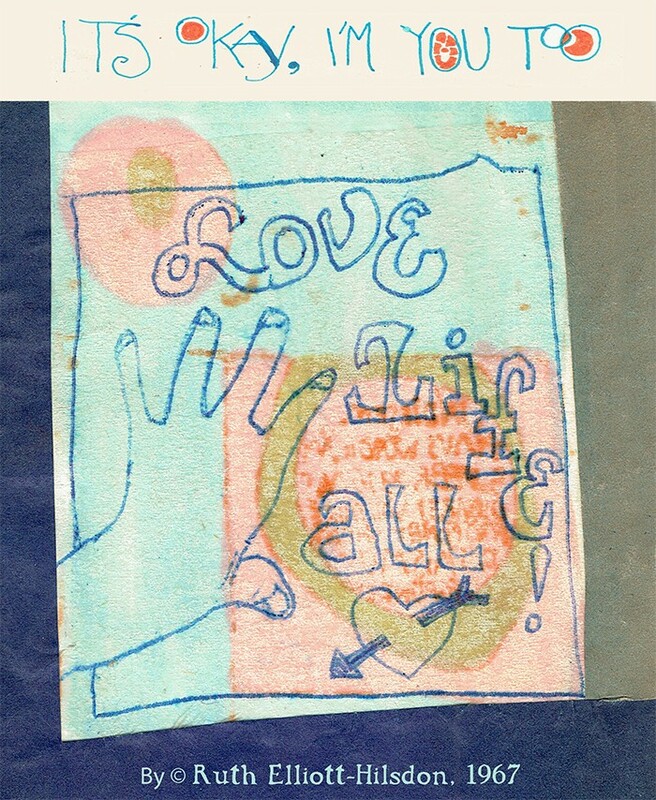 Make an I CAN’ book to begin the lifelong journey to love reading. Use photos of THEM in it, and keep adding pages as they grow! 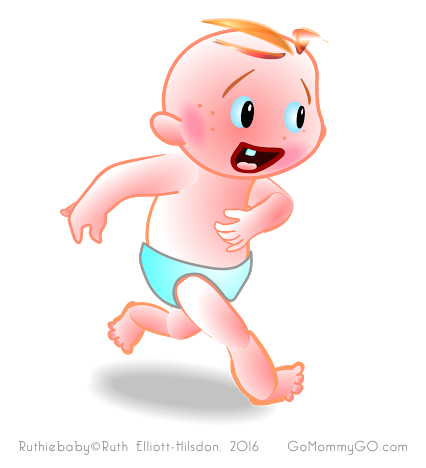 A tiny infant who can barely lift his head, needs to train their nerves and muscles in order to eventually sit up, stand up and then eventually WALK. It is absolutely an amazing feat. 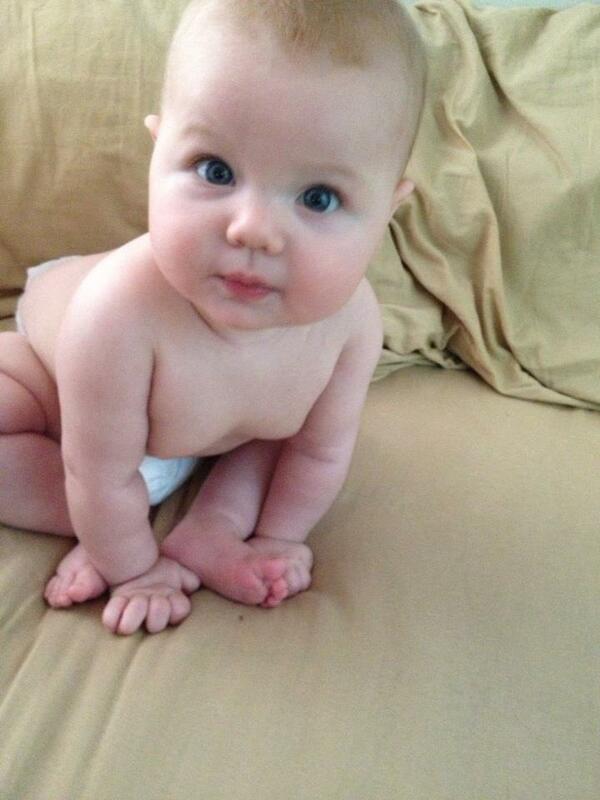 I heard that learning to walk is the hardest thing a person will ever be required do in their entire life. And that means that if we have managed to get through the most difficult thing we will ever be asked to do, then we evidently already have the strength to overcome other struggles that come our way! 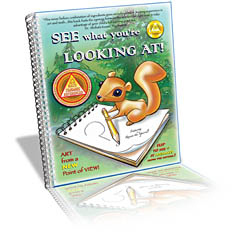 An ‘I CAN’ book is just one way to help your little acorn to begin to see their growth and realize their POTENTIAL! Will a seed always grow to it’s full potential? No. A seed can fall into a crack and get stuck. But you’re not a plant – you can get up and walk, so there is always hope. It’s up to YOU, once you’re big enough. Ask and it will be given. Seek and you will find. Knock, and the door will be opened. You are not alone in your struggles. There are lots of people all over the place who would want to help you – IF YOU WOULD ONLY ASK THEM! Keep looking and you will find them. 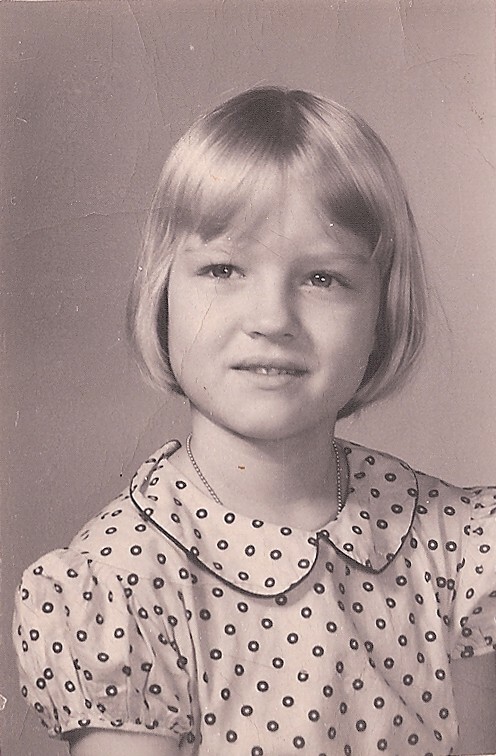 Then and there, at 6 years old, I sat right down and determined to remember everything that had happened in my life, starting from yesterday, the day before that, and so on, as far back as I could. In the weeks to come I recalled sections of my toddlerhood, snippets of my life at a few months of age, and I even remembered being born. Everyone wants a life of significance. Aim for your dearest dreams. If you aim at nothing, you’ll hit it every time. Keep your aim on what you truly yearn for, and the way will be shown for it to come to you. Progress, however slow, is still progress. Develop Good Habits, including patience with yourself, and the time it takes to develop into your best self. I always told my kids, and now my students, that all of life involves suffering of one sort or another. You can either suffer doing a job you love, or suffer doing a job you hate. Much better to suffer for something you love. So aim for a job you love. Work hard at developing your talents and abilities towards a field of work you love. Do it with all your might. Remember: Where there is life, there is hope. As long as there are people who need help, there’s a place for you in the world. 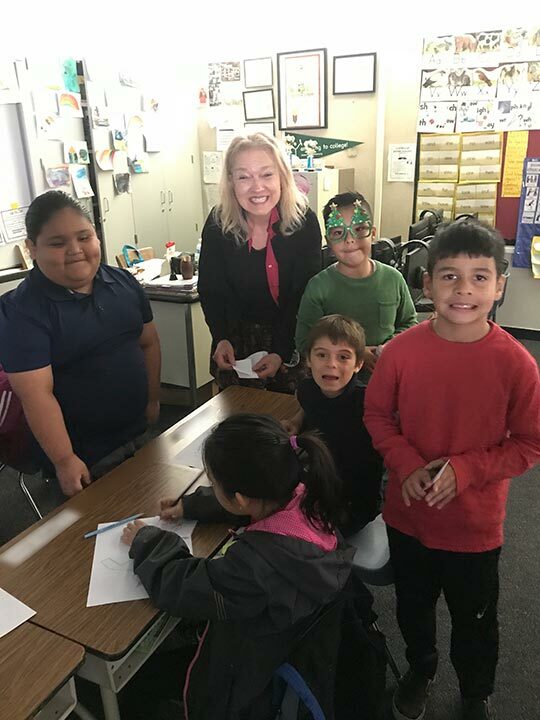 This is the message I share with hundreds of students at elementary schools I visit, encouraging them to take advantage of school and learn everything they can while they have the opportunity – before they grow up and are too busy working for a living. I tell them, “Don’t wait. Take advantage of every chance to learn something new. 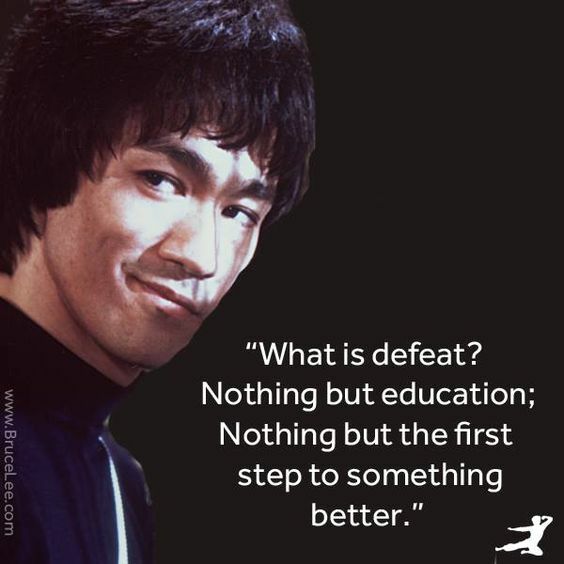 And keep learning. NOW is the only time we ever have. I founded EDU DESIGNS after my 7 kids grew up and I realized there were more children out there who needed positive media and educational resources to lift them up. THEY will become the adults in charge one day, when we are old and need them! If you believe in our mission, please share this message. And if you can spare a little ‘water’, please DONATE! LIFE TAKES UP MOST OF YOUR TIME, doesn’t it? 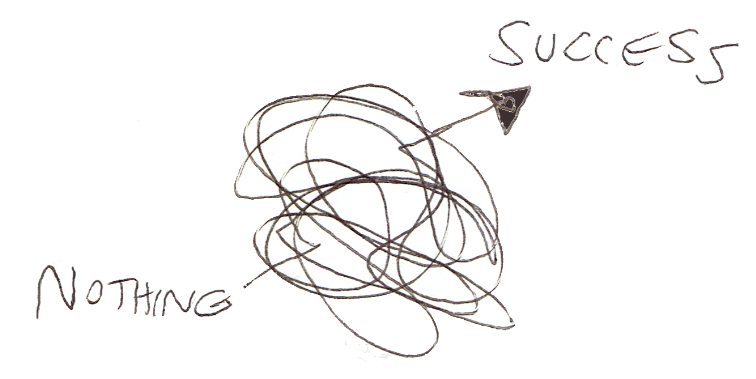 And when we turn around, it’s the steady plodding forward, that gets us anywhere. You can’t change the waves, but you can adjust your sails. When dealing with kids, we must especially hold on our vision of the good in them to keep going. 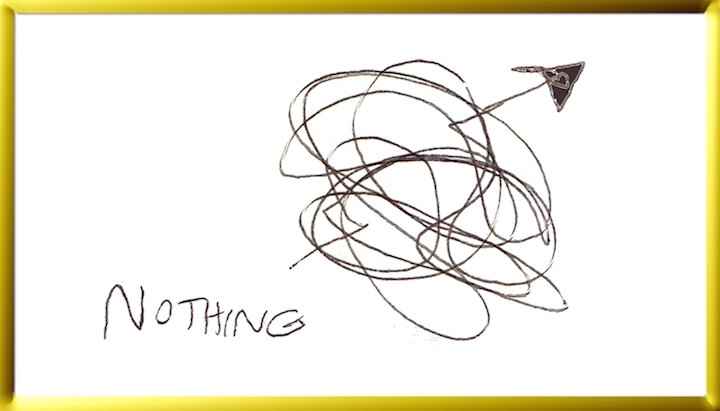 Don’t look at today’s messes or you’ll “throw the baby out with the bathwater”. We musn’t give up. 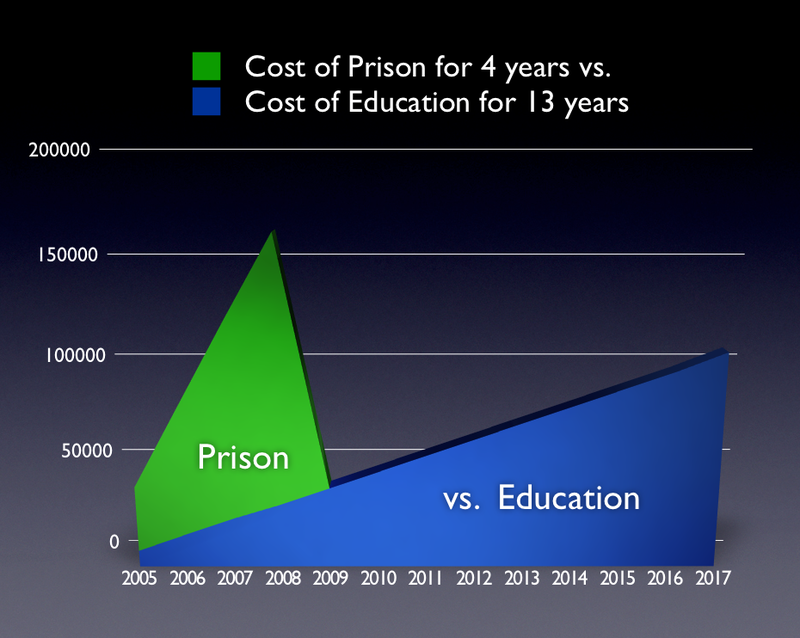 I created this chart when I heard it costs more to imprison someone for 4 years than to educate them for 13 years. Research reveals that most who do land in prison have had less education. If we will educate kids WHILE THERE IS STILL HOPE – that’s when it counts. Hold on to that vision – and don’t let go. It’s an awful lot of work, but worth every penny. Regardless of whatever has happened in the past, WE are here, NOW! Wherever I turn I seem to see new babies popping up everywhere – so there must be a LOT of hope going on! One of the greatest joys I have is talking with new moms and admiring their little ones and sharing my GoMommyGO cards and illustrated charts with them. I feel the same way. I can only do so much, but all my little ‘so much’s’ piled up might add up to a little more than I realize one day. 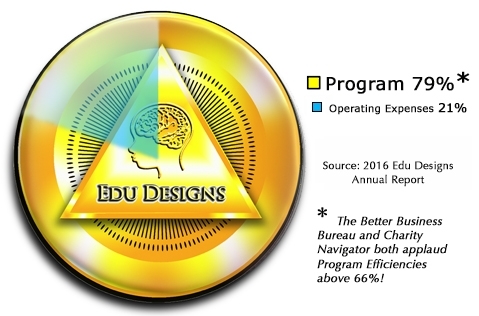 Make sure YOU take advantage of all the good stuff we are doing here at EDU DESIGNS. And share it with others! 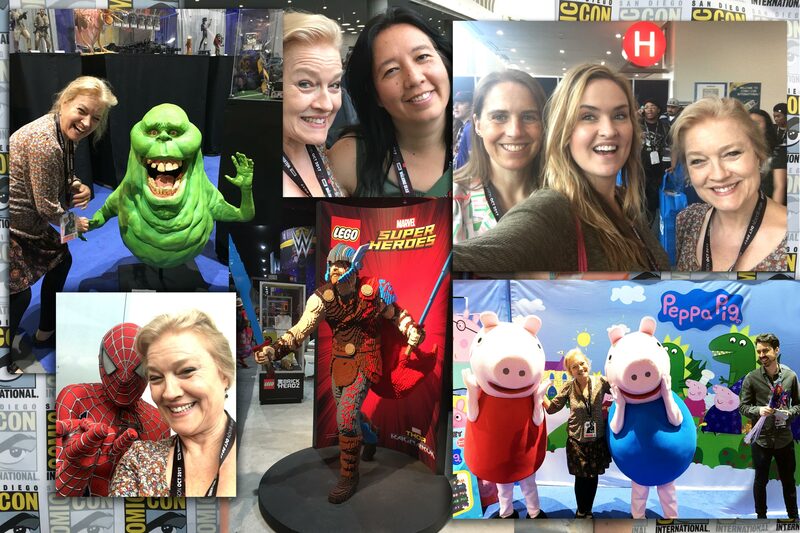 If you can, join us – We’re having fun! Do you ever find yourself running out of ‘love juice’? 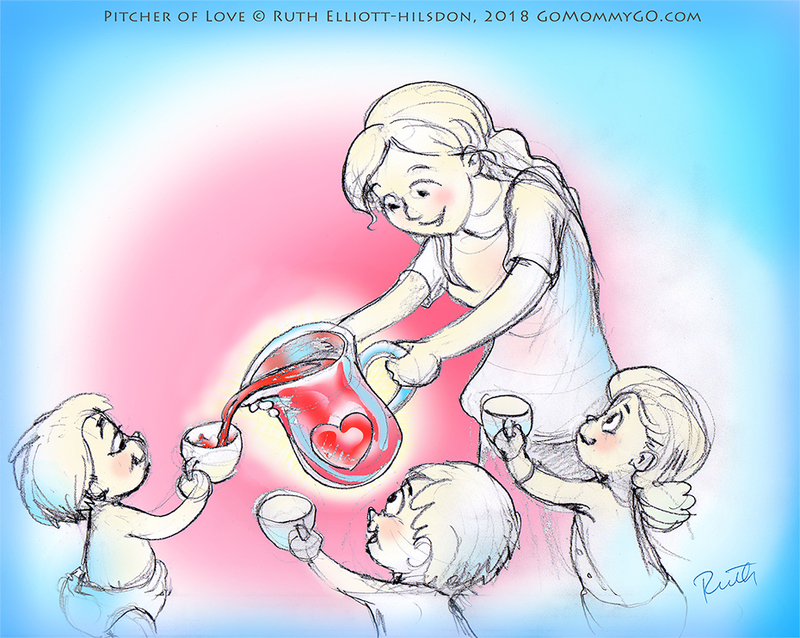 When my kids were little, even if I started with a full pitcher of love in the morning, sometimes by the end of the day the pitcher would be dry. 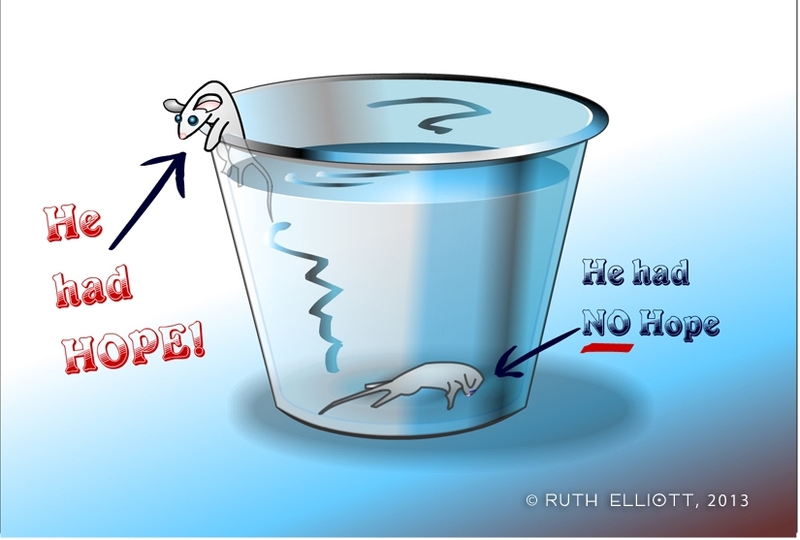 Beware of running on empty! What I needed was a ‘refill’ – something for myself – so I’d have something to give those who were most important to me. I began planning to have dinner ready each day before the kids went nuts. For me, a cup of coffee in the afternoon made all the difference, plus a reminder or two on the wall. I’ve made this special illustration to remind you to take care of yourself, so you can take care of those you love. You can download a high resolution pdf when you make a donation of any size. Print it up and put it on the wall where you will see it every day. Let it help you, as it helped me, be inspired. P.P.S. – Love to donate but haven’t any to spare? If you shop online at Amazon, Amazon will donate to EDU DESIGNS every time you shop when you start from smile.amazon.com. Costs you nothing. When they ask you which non-profit to support, just type in EDU DESIGNS, (Sierra Madre, CA). AmazonSmile is the same Amazon you know. Same products, same prices, same service. And Amazon donates, so it won’t cost you a dime! Support EDU DESIGNS by starting your shopping at smile.amazon.com! Amazon gives when you shop! EDU DESIGNS is an ALL VOLUNTEER Non-Profit. 100% of your donation goes toward sharing our materials, and NOT for salaries. You are guaranteed a Tax Deductible Receipt.